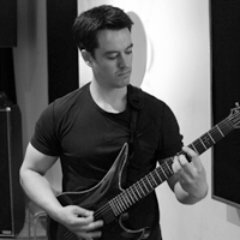 Derek has been an active guitarist for 22 years, has played in a variety of bands, and holds a degree in psychology, and creative music performance. He specialises in rock and blues based styles, and has a broad experience of a number of other genres, including funk, jazz and country. Derek has been involved in music education for a number of years, and has experienced first-hand, the frustration, blood, sweat, tears and sheer determination it can take to become an expert musician. He was self-taught from an early age, and over the years he formalised his musical knowledge through guitar lessons, self-study, and finally, by earning a music degree. Along the way, he had mixed experiences with guitar lessons, and although he found his lessons with tutors to be valuable, he would often leave his guitar lessons having forgotten key points, or wondering exactly how to go about practicing the material he had learned with his tutor. Having gone through the process himself, Derek devised an improved teaching strategy using a combination of online teaching materials and one-to-one tuition. His philosophy is that learning music should be a fun and rewarding experience, and part of this is having a clear idea of what you want to achieve and how to practice effectively in order to reach your goals. Using Derek’s approach, you will always have access to the lessons you have covered, and can revisit any areas which are important to you, either online, or in person. By taking the frustation out of figuring out what to practice, you can concentrate more on playing and improving.